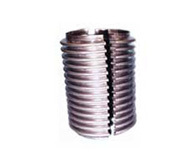 Penetration seal expansion bellows were designed to address the many problems associated with penetrating the shell of a boiler or similar pressure casing. Traditionally, when a tube or pipe penetrates the casing, a slip joint packed type seal is used to allow the tube or pipe to thermally expand and contract without damaging the surrounding shell or pressure casing. The packing material in this joint is used to help reduce the escape of heat and gas from the boiler. However, these designs have many drawbacks. They require constant adjusting to keep the seal from leaking excessively. Because slip joint type packed seals cannot be insulated, imposed stress on the tubes will eventually cause the unit to leak and become so hot that maintenance personnel are unable to get close enough to adjust them. Penseal bellows offer a complete seal that eliminates the leakage of heat and other emissions, reduces noise, and protects maintenance personnel. These seals can be completely insulated which ensures the least amount of heat loss at the point of penetration as well as helping to cool the casing area around it. Because PenSeal is a true expansion joint, it is designed to accept axial, lateral and angular movements, therefore, lowering the stress on the tubes and pipes they are attached to. Lastly, and most importantly, PenSeal is maintenance free. Install it and forget!